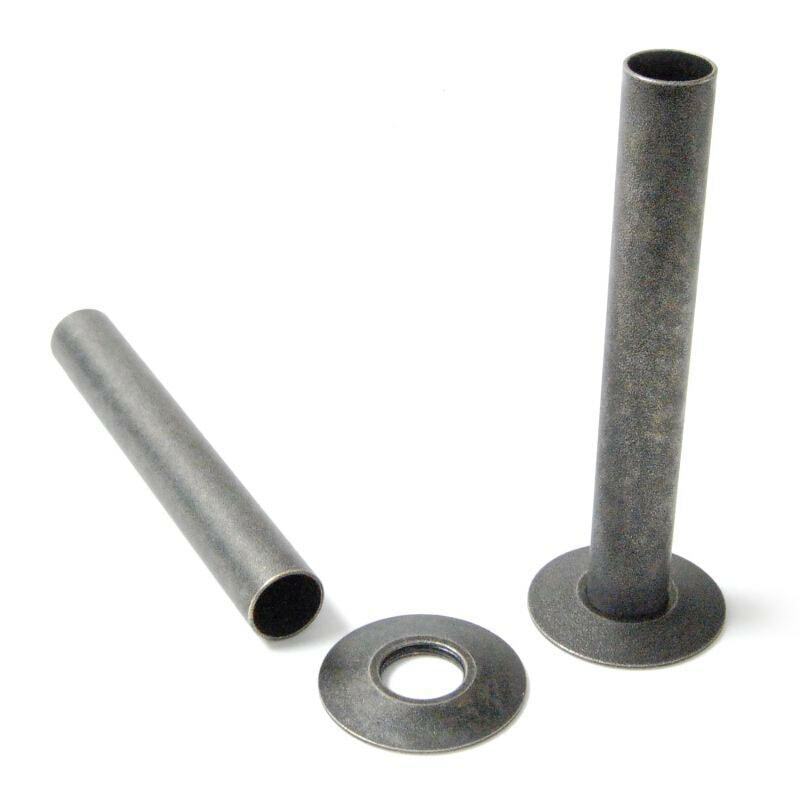 Radiator Sleeving kits, which are also known as pipe covers and pipe sleeves, are designed to cover any exposed pipework with pipe shrouds and floor plates. They complement your radiators and add a neat and tidy finish to your installation. Our radiators pipe covers are available in a variety of finishes, to match your radiator. We have chrome, brass, antique copper, pewter, black nickel, polished nickel and satin nickel finishes and two sizes (130mm and 300m) available. All of our shrouds are made from solid brass, so they also provide protection for your radiator pipes. A choice of pipe diameter, microbore sizes and sleeves (which can be cut to the required length) make our sleeve/shroud kits incredibly versatile and able to fit any pipework. Our helpline 01772 803725 is open 7 days a week from 8am to 8pm, so do give us a call if you have any questions or requirements to discuss with our team.